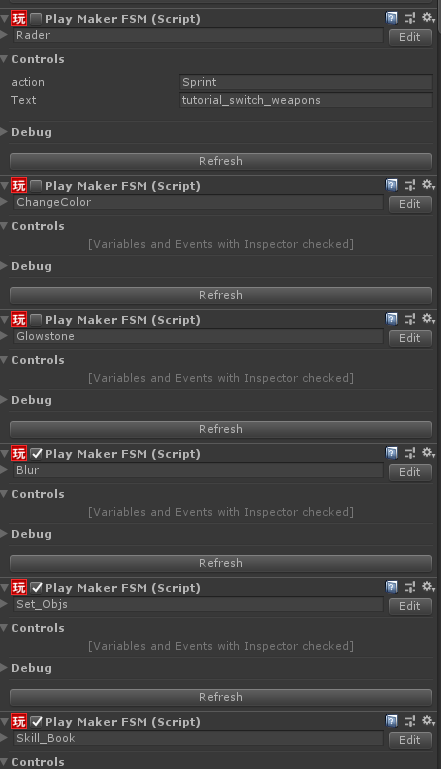 I often work with gameobjects that have a lot of fsms on them. That means when that kind of game object is selected, performance in editor is very poor (5-10 fps). If I collapse thosefsms like this. Performance gets back to normal. I guess it's because all those refresh buttons and extra stuff still needs to be rendered. By the way, I don't even know what those Refresh buttons supposed to do. So is there a way to enable some simplified rendering for those fsm components in inspector or some sort of workaround for the issue? Maybe an option to ping the Asset so you can find it? By ping asset you mean select it in project window? I've made a pretty successful hunting/horror game for steam, called Witch Hunt. Have you tried the Default setting in Color Scheme? Non of the settings helped. Only when I managed to upgrade to latest version of playmaker the issue got fixed. May i ask why you downgraded your project? I was able to solve the issue! At some point I was able to downgrade Playmaker to 1.8.4 in 2018.3. And after fixing bunch of issues related to that downgrade, I've decided to try and install Playmaker 1.9p5 above downgraded 1.8.4 and now I'm not experiencing any issues. I'm not sure what solved it, but I suspect that it issue might be caused by the fact that PlayMakersGlobals.asset wasn't located in default directory. I expected that it will select prefab on project window or open editing prefab mode, but it doesn't do anything. Is that normal? 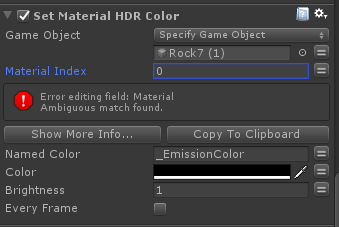 And how can I find prefab that I'm editing from error check window in current workflow? Feature Requests / Re: An Even Darker FSM Background Setting? Got same issue. 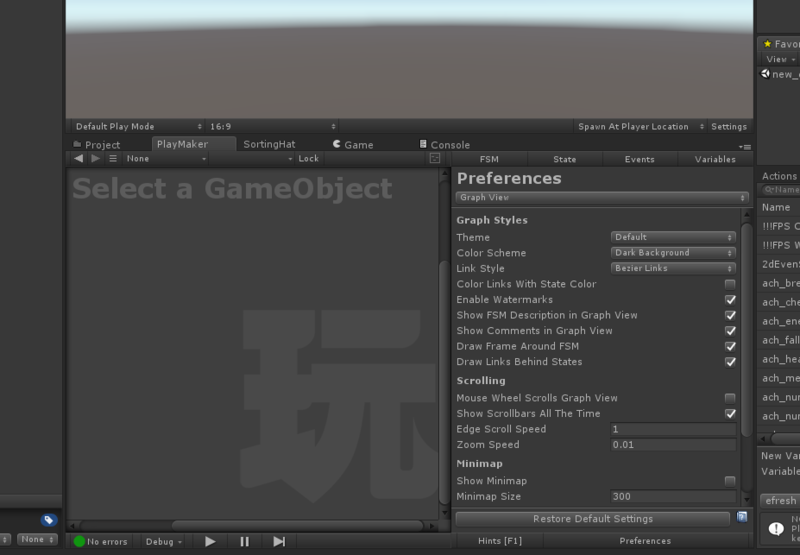 It looks fine in Unity 5.66 and in new project. I've just downgraded my project from Playmaker 1.9 to 1.8.4 and for some reason editor background got stuck in lite skin. Any idea how can I fix it?